Fresh off knitorious’ needles, the Rib and Button Scarf detailed in Interweave Knits Holiday Gifts 2011 designed by Talitha Kuomi became a substrate for dorset buttons. The dorset buttons accentuated the buttom flaps and collar of this interesting design of short-row shaping and buttonhole making. 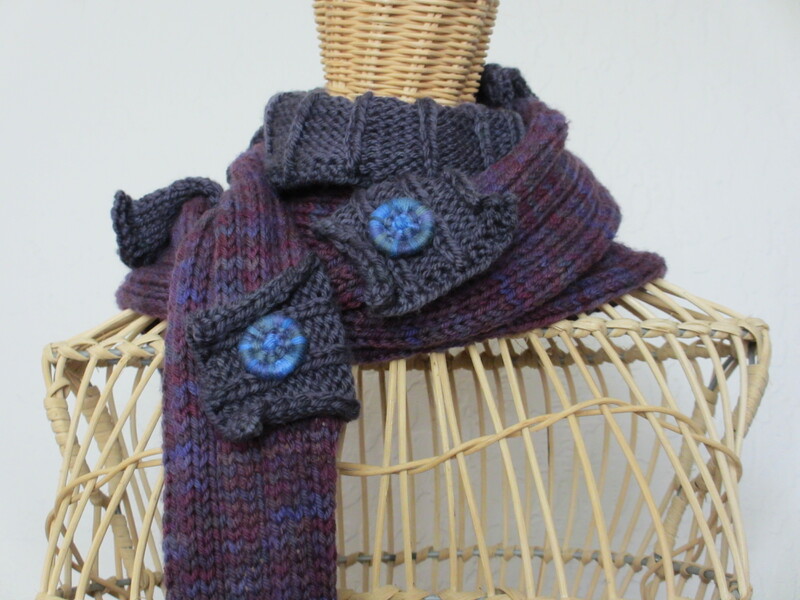 The scarf is knit with Dream in Color worsted weight Classy. Cascade 220 Paints for the dorset buttons added just enough interest. With the last class of Knitisms 101, Knit Interest Clique became a reality. Colleen, Cynthia, Heidi and Mariann will be joining knitorious for knitogethers in the near future. The “clique” has already found projects in commom. 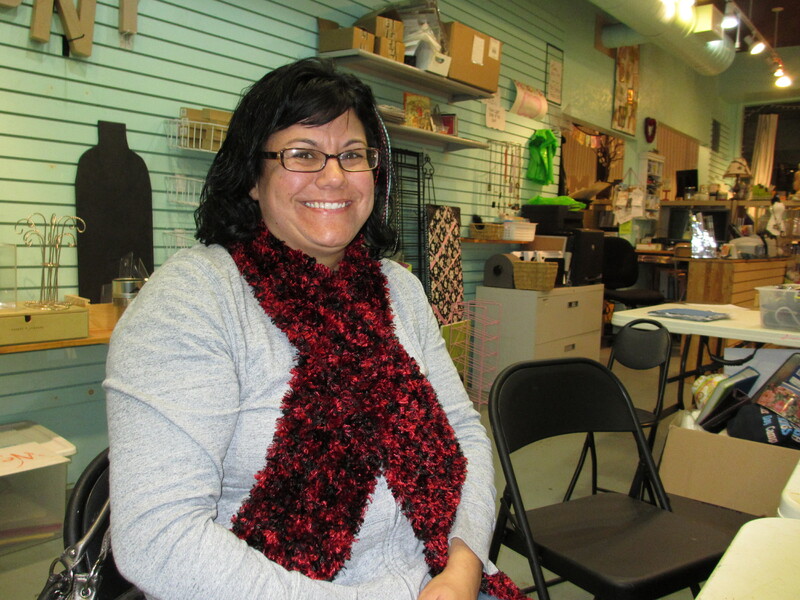 Our next knitogether will be surrounded by ideas, needles and an abundance of yarn. 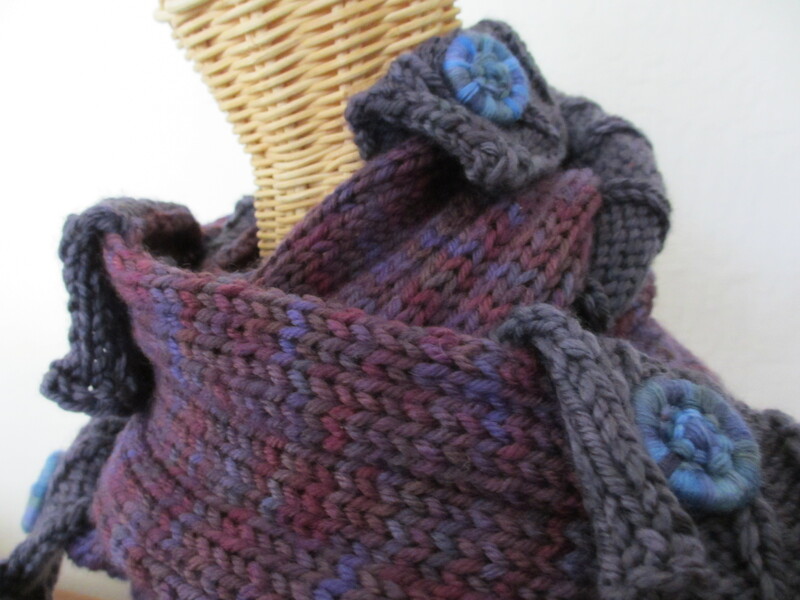 Online tutorials are interesting, youtube is helpful, Ravelry and Knitty connect knitters in a virtual world where knitting books, magazines and patterns are read using an e-reader. Why not reach out and touch fellow knitters with knitorious and join knit interest clique? A social gathering where a common language spoken using knitisms to upcycle the traditional techniques of knitting brings a collective group together. 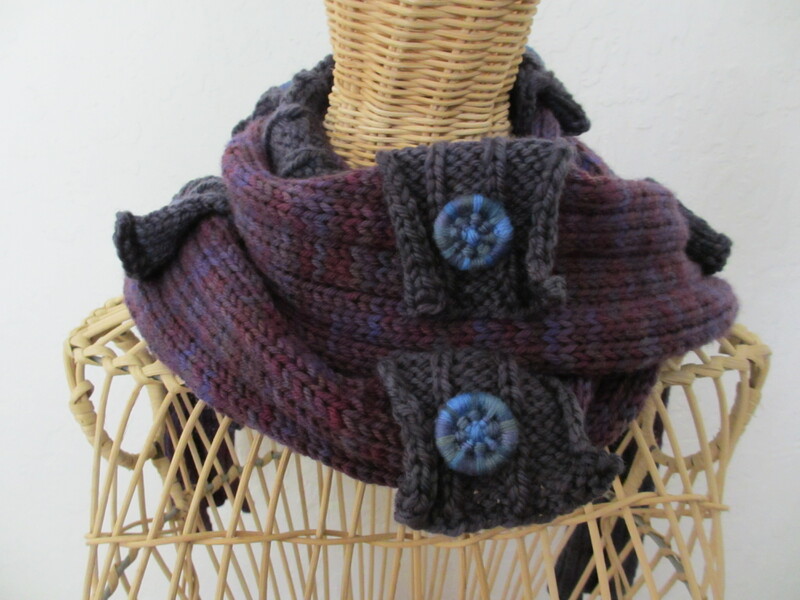 Join knit interest clique on Facebook and knit your way through the crafty-side of life, or even better, sign-up for classes with knitorious at A Work of Heart Studio in San Jose, California. Knitorious taught her first class at A Work of Heart craft lounge last night. She encountered a determined group of newbie knitters “clicking their sticks” creating a rhythm with knit and purl stitches. Knitting with yarn would not be complete without the assistance of a cat. Yes, the resident cat at A Work of Heart made her presence known by gently rubbing herself on the legs of a student. I must mention, however, Knitorious loves cats! The lounge is spacious, quiet and students are surrounded by walls of crafty-type supplies. Next Monday, November 14th, the group resumes to discuss their homework swatches knitted in stockinette stitch and garter stitch. 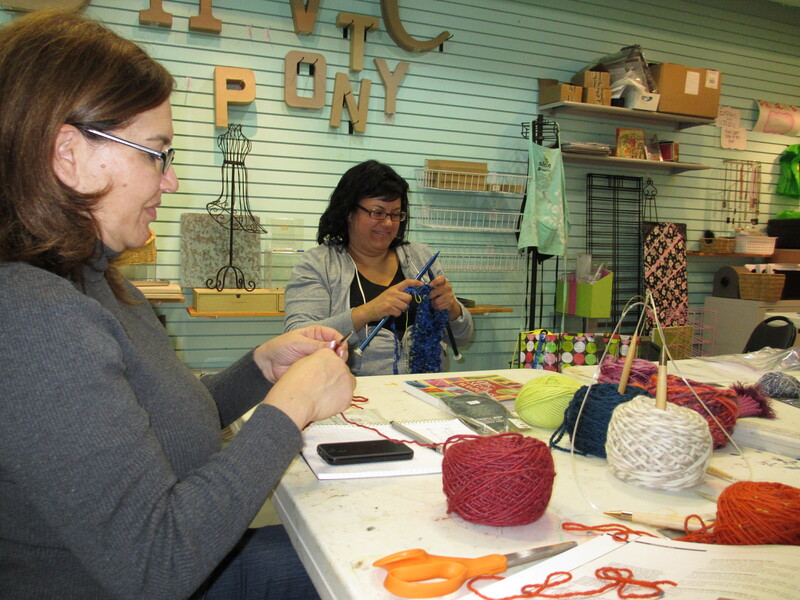 November 21st was the last night of Knitisms 101, and was Knitorious amazed. 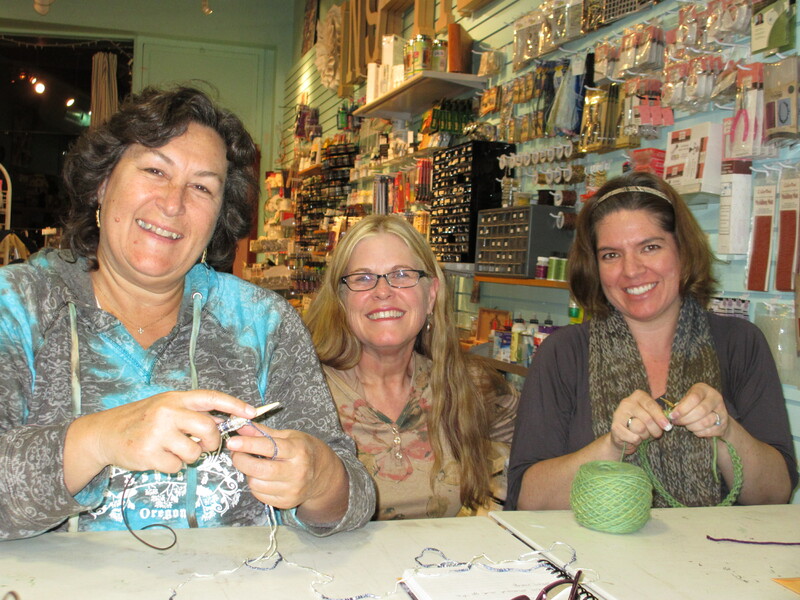 Colleen was knitting with ribbon and eyelash, Heidi was knitting a scarf and found another project in One Skein Wonders, Mariann has a holiday wish list for scarves and Cynthia was knitting in the round. Knitogether to be continued with Knit Interest Clique.